Boats play an important role in outdoor sport and leisure activities such as fishing, tubing, waterskiing, or just cruising around the lake. 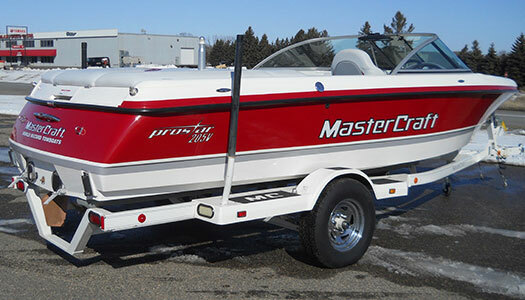 Many boat owners consider their own boat to be a prized possession that they either can’t or won’t live without. Finding a reliable boat repair shop that can fix anything from a minor dent to extensive storm or collision damage or a major restoration project is essential. Anchor Marine Repair is a top notch boat repair company with a state-of-the-art facility and a team of skilled boat mechanics with each having about ten years of experience. Anchor Marine Repair provides all types of repair work on aluminum, fiberglass, jet skis, pontoons, trailers, motors and more. Convenient boat pick up and delivery services are available. Since boats and marine craft come in many different shapes, sizes, colors and manufacture, it can be difficult to find a company that can handle all types of boat repair services. Restoring a boat to pre-damaged condition takes years of practice, knowledge of parts and materials and mastery of workmanship. The beauty of working with a boat repair shop that invests in technologically advanced equipment is the level of confidence you can have in receiving the highest quality results. The state of the art facility where skilled professionals at Anchor Marine Repair can work their magic is designed for efficiency with fast turn around times. We have cultivated a great working relationship with parts suppliers in order to have your boat in tiptop shape as quickly as possible. Our boat repair shop is equipped to handle marine craft up to 38’ in length. Painting bays have room to spare with lengths of 42’ and 48’ respectively. The facility has 10,000 feet of workspace to operate in. There is no equivalent to having years of experience in mastering your craft. 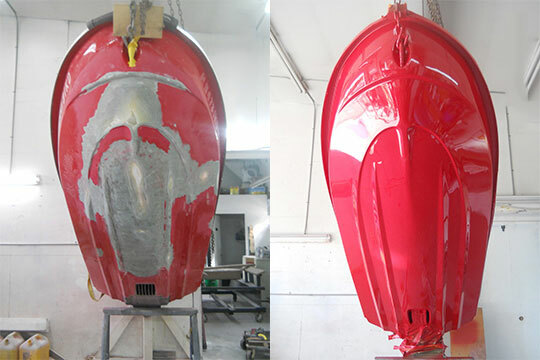 The team of skilled boat repair specialists at Anchor Marine Repair has each accumulated the skills needed to perform wonders on boats that have been damaged or just in need of a little TLC. Request an appointment today to see what we can do to fix or upgrade your own prized boat. Call Anchor Marine Repair today for a Free Estimate on all types of Boat Repair and Restoration Services at: (763) 972-3540.